Dad and I walked up the mountain track to follow the spring feed for the Hovel. 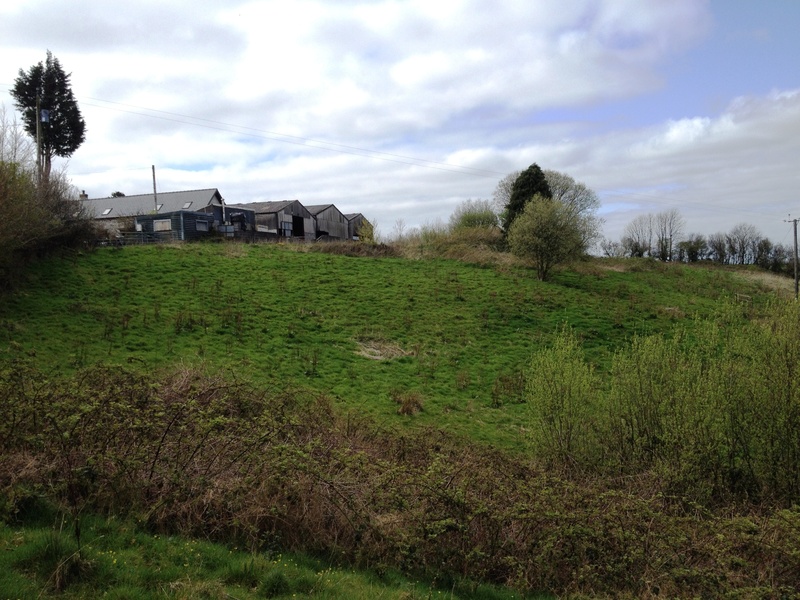 There is a lot of evidence that the owner of the pony field has been digging out the ditches and improving the drainage over the mountain fields. We followed the line of piping up the track and through the pony fields, stopping only to take some photos of the view! We found the water spring pipe all the way up to the top copse with no end in sight!!! Dad and I discussed borehole possibilities on the our return down the mountain and also rain water harvesting systems! We left the woodland and continued our wanderings around Big Field. If we cut the briars in the corner of Big Field/Orchard we will have another good access point, which would save us getting caught up on the Blackthorns, as Mum did!! We walked back up the hedge line and stopped at Orchard (or what will be our orchard) and Big Field Gate. 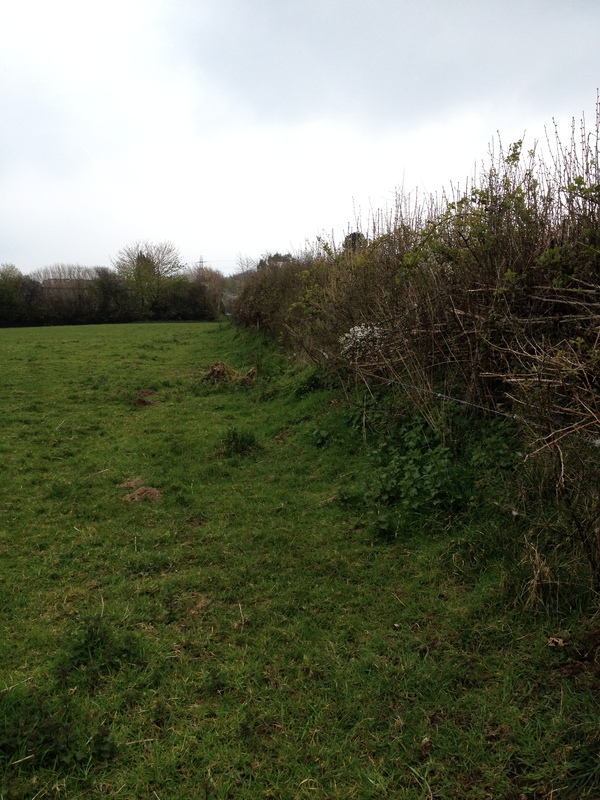 There are some areas here in the banked hedgerow that we need to rebank and also this hedgerow needs laying! That will be a big job come the winter! We also decided that it might be a good plan to remove this gate from Big field into Orchard entirely as we dont want our wooly friends accessing our baby trees when we plant them next year!! We should just build a stile into the field and reinstate the banking/hedgerow in this section! On our way out of Big Field we noticed some hedgerow creep into the field and decided that it would be worth noting them for movement later back into the hedgerow in the gaps mentioned around the place!! When we came back out of Big Field our neighbour was diggin out some of the wormery compost from Holding Field, so we stopped for a chat. Turns out he is a friend of th chap we saw in the windows and doors showroom and he said that they were “expensive, but worth it!” Walking back past the barns we met our close neighbour erecting fencing panels, which we thought initially were to obscure the view of our gorgeoous Azzy Barns!! But later we discovered that a Baby St Bernard was probably the real reason! Chatting with our neighbour we discovered several things about the property. The spring water dries up every year!!! Argh!!! that has sent us running for bore hole quotes!!! he also has a borehole which he reckons is fantastic. He also said that all the farms up here have fantastic septic tanks and if possible we should not touch ours, other than to connect the new barn! his kitchen sink actually comes out into our septic, one of the bizarre issues from when the original farm was divided up! Our neighbour also discussed some drainage and access issues that he and some others had had with the previous owner! all concerning a triangle of grass opposite the front of the property, which upon checking is not even on our land, it seems to be classed as public highway! The farmer who owns the hill fields needs better access to the hill track opposite and the water gushes down the hill track in times of heavy rain and can make the road impassable. Some more things to check out then!! On our way back to Hovel for a cuppa Dad and James decided to nvestigate the triangle of discontent! 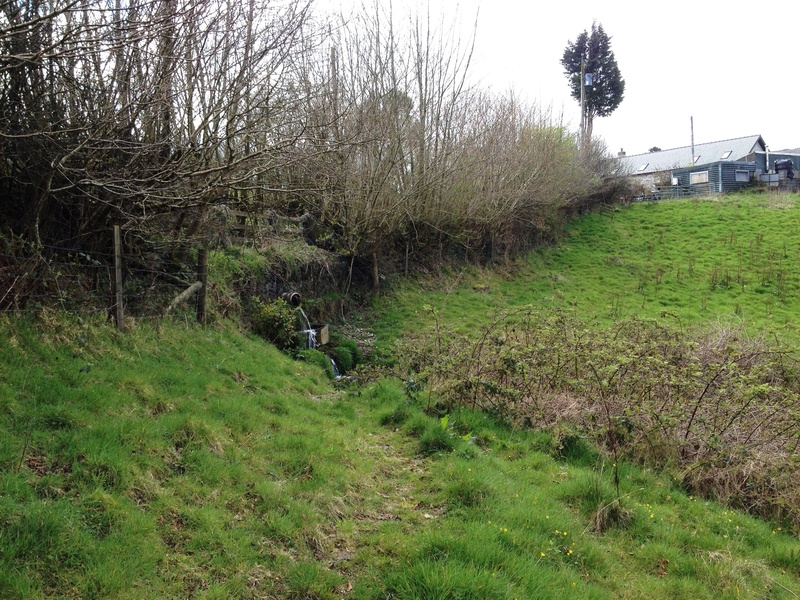 They discovered that the old ditch and pipework and drainage grate, which should have taken the mountain track water under the road was so silted up and unmaintained that nothing was draining through it and everything was headed over the road! Another thing to add to the jobs list! !